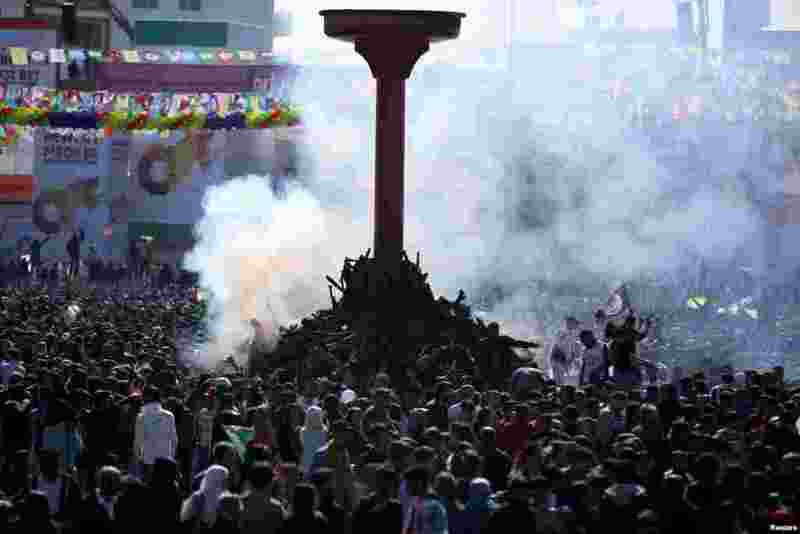 ١ People gather to celebrate Newroz, marking the arrival of spring and the new year, in Diyarbakir, Turkey. 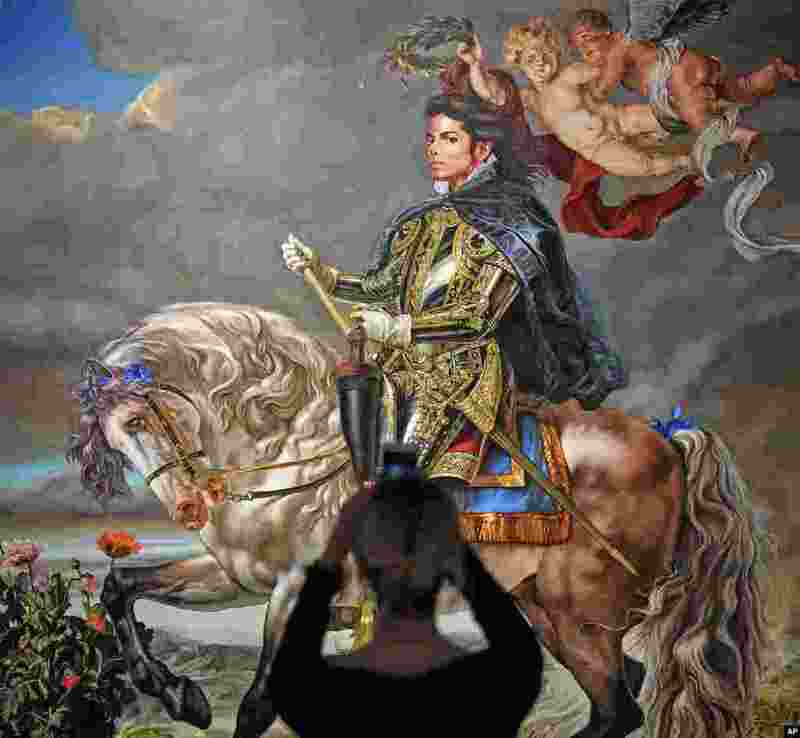 ٢ A visitor takes a smartphone picture of the painting 'Equestrian portrait of King Philipp II (Michael Jackson)' from US artist Kehinde Wiley at a preview of the exhibition 'Michael Jackson: On The Wall' at the Bundeskunsthalle museum in Bonn, Germany. 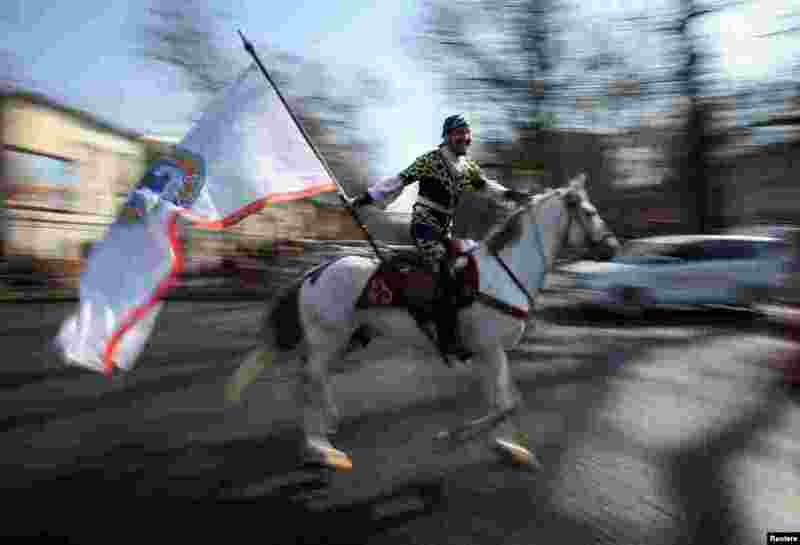 ٣ A reveler rides a horse as he holds a city flag during a parade as part of Newroz celebrations, an ancient holiday marking the spring equinox, in Almaty, Kazakhstan. 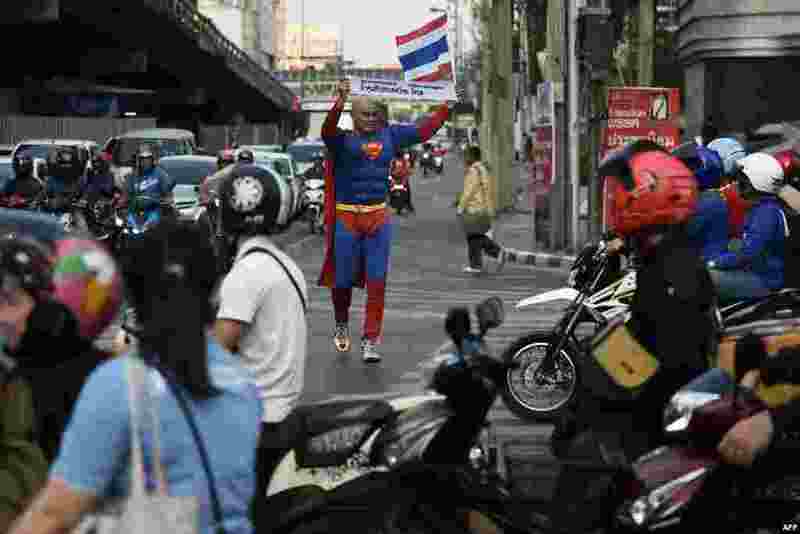 ٤ Thai-German national David Pfizenmaier walks through a traffic intersection holding a sign encouraging Thais to vote in the upcoming election in Bangkok, Thailand.